We facilitate targeted strategic planning and visioning activities for your school. Through a combination of guided group discussions, exercises and breakout sessions, our School-wide Program results in leadership development plans, realistic evaluations of your school’s strengths and weaknesses, candid discussions about how to position your school for future success, and enthusiasm for embracing strategic changes. We facilitate a holistic, in-depth assessment around a school’s strategic vision for change. We support you evaluate your school’s experiential education program, learning opportunities or how to better provide global citizenship education into the classroom. 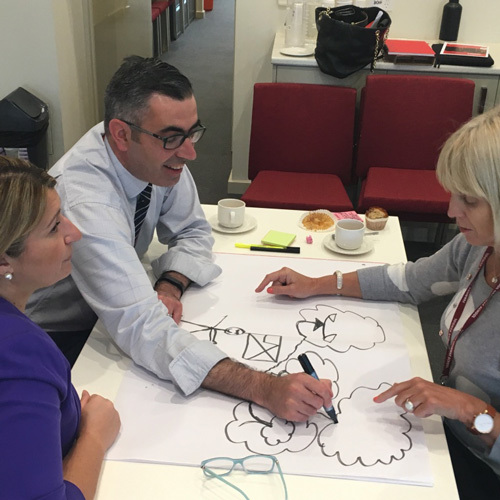 The retreat provides a chance to: reflect on differing opinions about the school’s values and priorities, re-evaluate and evolve the school’s current shared vision, and identify areas JUMP! can support students and educators in enabling this new, collective school vision.